Are you looking for the best place to hire or buy a Canvas Marquee Tent? Do you need a large Canvas Marquee made to your specifications? Would your wedding or party venue benefit from a custom-made Canvas Marquee? 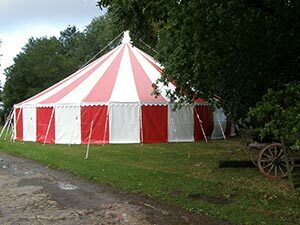 Weatherill Brothers are one of the UK’s longest established marquee manufacturing companies, and we specialise in making any size Canvas Marquee or Tent to order. We are open to take your call from 7am every morning, and can offer help or advice and answer any questions you may have. We manufacture and sell Custom Permanent Marquees, Semi-Permanent Marquees, Frame Tents and Awnings, as well as interior linings, and we’ve been doing that since the 1950’s so there’s not much we don’t know about Marquees. If you’re looking to get a Canvas Marquee made to your specifications for permanent use at your venue we’ll give you a top-quality product that will last for many years. If you’re looking to hire a beautiful Marquee to grow your business, we can do that for you too. We are proud of our reputation for craftsmanship, and we’re members of MUTA (Made Up Textiles Association). Our Marquees are windload tested to speeds of over 80mph and we’re one of only two companies in the UK who can state that. When you purchase or hire a Weatherill Brothers marquee, you’re buying into our years of understanding and practical knowledge, and that gives you a superior product.